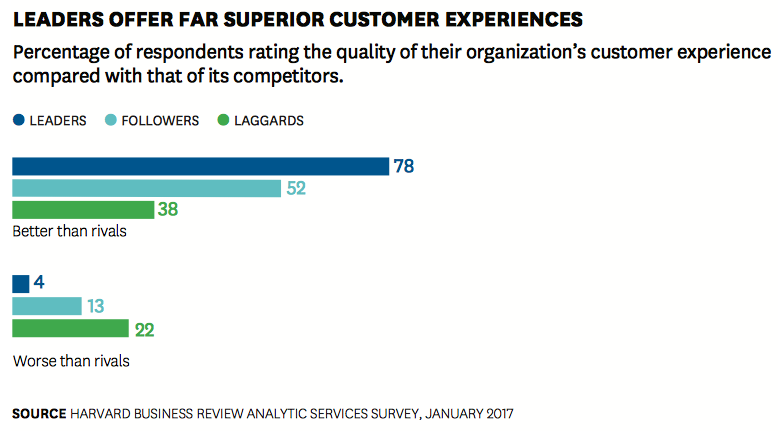 By now most companies realize that they are competing on customer experience. What is not understood as well is the social imperative: social media is now perhaps the most critical component of your customer experience. In fact, it will make or break it. 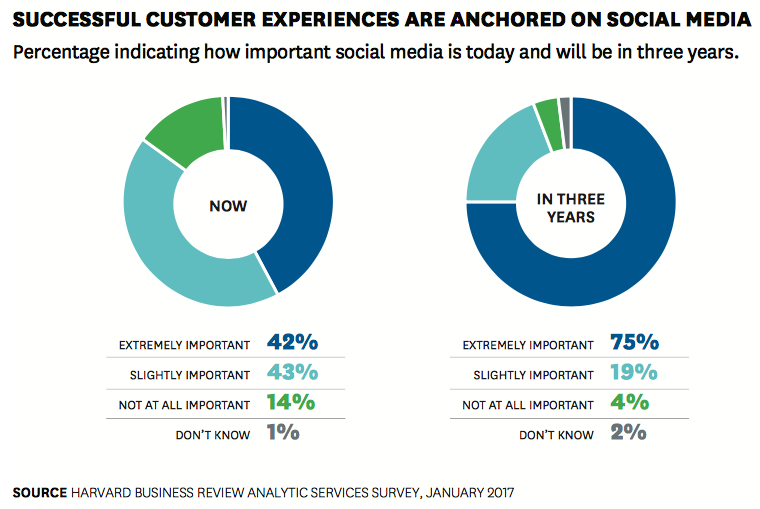 How well is social media integrated into your customer experience? A recent Harvard Business Review Analytic Services Survey found that companies that thoroughly integrate social media and customer experience offer vastly superior customer experiences than competitors do, which translates into stronger growth and dominant positions in their markets. The survey found that only 34% of respondents felt that their organization has the tools and skills to deliver superior customer experiences. 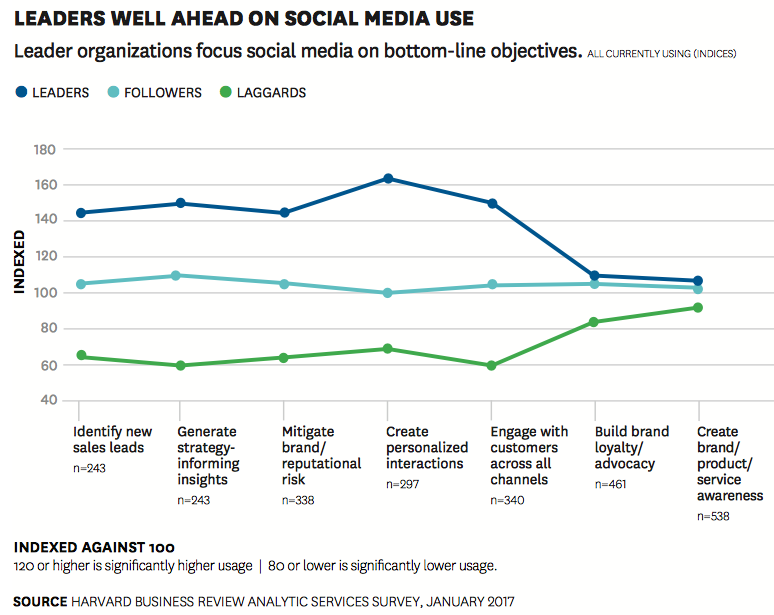 Furthermore, the leaders – comprising 12% of the survey respondents – were more aggressive in their use of social media than other companies. Going far beyond branding or product awareness, these companies focus social media efforts on bottom- line activities such as generating sales leads and mitigating brand and reputational risk. Leaders also have the strongest revenue growth—more than half report revenue growth of greater than 10 percent during the past two years versus 35 percent of Followers and 41 percent of Laggards. What makes the leaders lead? How sincere is your social media voice? Seriously. Actually empower the front-line. 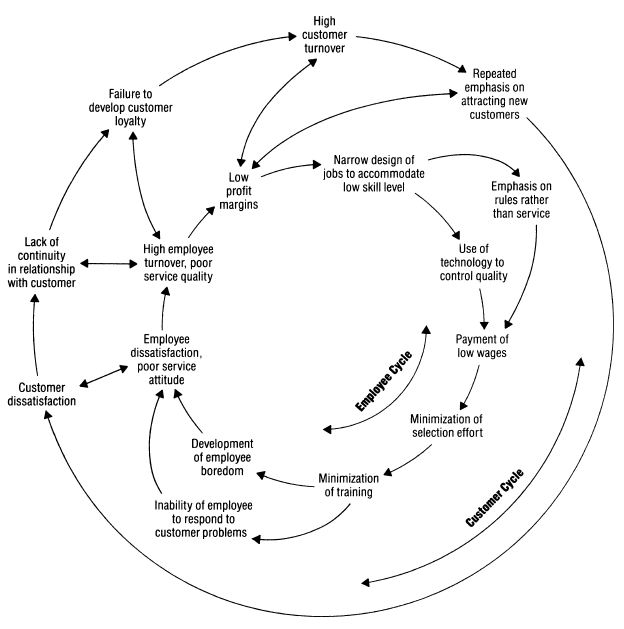 Remind managers of the classic from Schlesinger and Heskett – Breaking the Cycle of Failure in Services. The model still works, even in the digital age. Be real. If you don’t know the answer say so. Then go find out. There’s no room for fakery. Be helpful. What can you do to make the customer’s job easier? Do it. Empathy. You can’t fight with the customer. What you can do is empathize. Walk a mile in their shoes. Now, how do you respond? Practice “micro-moments.” The best way to prepare is to practice various micro-moments on social media. Go over test cases. What’s the right response? The days of moving customers progressively from awareness to purchase and repurchase are quickly coming to an end. As social media and mobile devices come to dominate how customers acquire and share information about a brand, customer buying processes are increasingly made up of erratic “micro-moments,” where people search for product information and recommendations wherever and whenever they have a spare moment. Have you mastered micro-moment engineering? How do you integrate the micro-moment into the buyer’s journey?